Becoming a doctor is no easy task – studying medicine for 5 or 6 years is just the start of what can be a lifelong pursuit of knowledge. Once qualified, you will be constantly learning on the job until the day you retire. Studying abroad is not always a piece of cake either, particularly if you are still learning English, but it is often the way to get the best education. A degree from the UK, USA, Canada or Australia could put you in good stead for work after graduation in your home country or working abroad. i-studentglobal spoke to St. George’s University of London, a Medical School in the UK, to ask them for advice for international applicants, to give you 7 steps to help you start your journey to study to become a doctor in the UK. Applying to Medicine can be a process which spans several months. Most UK medical schools require you to submit your application by 15th October to start your course in September the following year. That being said, you’ll need to start preparing earlier. It is important to research the entry requirements at each medical school to which you are applying. You need to ensure that you have the right profile to give you the best chance of being invited to interview. The beginning of your penultimate year of school is a good time to start thinking about how to gain the qualifications and experience you will need to make you a competitive candidate. In addition, you’ll need to be studying the right subjects at A level, IB or equivalent. All UK medical schools must meet the stringent standards of the UK’s General Medical Council, so you can be assured that you will receive a high-quality medical education whichever medical school you choose. Rather than fixating on the highest ranked (and hence most oversubscribed) options, make sure to choose medical schools at which your achieved and/or predicted grades meet or exceed the minimum requirements, and your UKCAT score (if required) is competitive. You should also consider what kind of teaching and learning style will suit you best. Many UK medical schools offer a Problem Based Learning curriculum in which independent learning is a key element of the learning experience – this suits active learners and team workers. You can also look into when the clinical placements kick in. This can be right at the start of the course (at St George’s, University of London, first-year medical students are on placement from their second week), or after a couple of years of lecture-based, theoretical learning. A great way to get a feeling for a medical school is to pay them a visit. Open days are the best time to visit. If you are travelling from overseas and can’t make the open days, you may still be able to visit. Just get in touch with the schools you are interested in before you apply to arrange a time for someone to meet with you. Remember to check your eligibility beforehand to avoid a wasted trip. Unlike in the US, Canada and Australia, the majority of medical students in the UK are recent high school graduates. As it is not necessary to undertake a pre-medical degree, trainee doctors in the UK can qualify with fewer years of study. It’s typically five or six years after completing A levels, IB diploma or an equivalent qualification. Shorter graduate entry options are also available. UK medical degrees are widely recognised and respected around the world, although it’s always wise to check with the authorities in the country or state in which you’re planning to practise, to see what revalidation of a UK degree will involve. 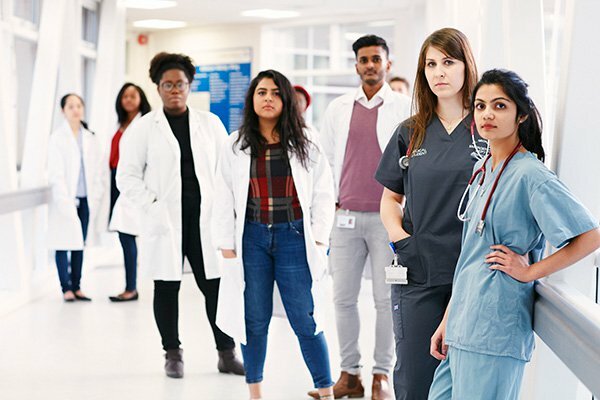 Studying Medicine in the UK will give you the opportunity to experience working within the NHS, the world’s largest publicly funded health service, which was born out of an ideal that good healthcare should be available to all, regardless of wealth – a principle that remains at its core. Many UK medical degrees allow students to begin clinical placements right from the beginning of their programme, giving them extensive practical experience for the duration of their studies. 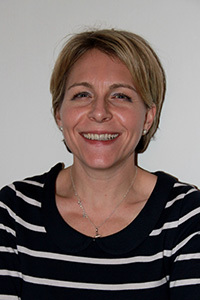 UK medical schools are also at the forefront of curriculum development, making use of innovative problem-based learning (PBL), and interprofessional education with other healthcare professionals; in UK medical degrees, students benefit from a focus on the “soft” skills relating to clinical communication, empathy and team-working, as well as “hard” scientific knowledge. In order to be a competitive candidate, you’ll need to demonstrate that you’ve gained some relevant extra-curricular experience. 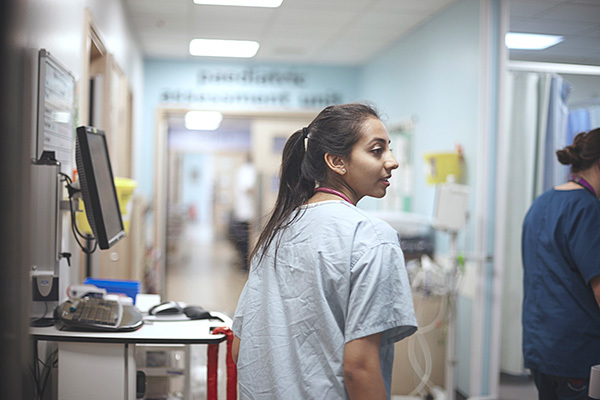 Many students believe that shadowing a doctor is the only kind of work experience they need; in reality, UK medical schools are interested in candidates who have been involved in activities which have helped them develop the skills they’ll need in their future careers. and teams, clubs or societies which have given them the opportunity to improve their interpersonal skills. You’ll only have your UCAS application and the limited duration of your interview to communicate your experience to medical schools. Make sure you take notes, pick out some key events and reflect on your experiences beforehand so that you can focus on these in your application. Medical schools will require high academic grades at GCSE and A level/IB or equivalent, but that’s not all. There can be up to 20 applicants for every place on the most competitive courses; so in addition to the work experience requirement, you’ll need to set yourself apart through an excellent personal statement; most institutions will also insist on an entry test and an interview. questions about their own experiences (among others). information on which should be available on the course web pages. You can apply to four different medical programmes through UCAS, plus a fifth non-medical choice. Most applicants choose a related programme such as Biomedical Science for their fifth option. This gives them the option to apply to progress into Medicine at a later stage if they are not successful on their first attempt. 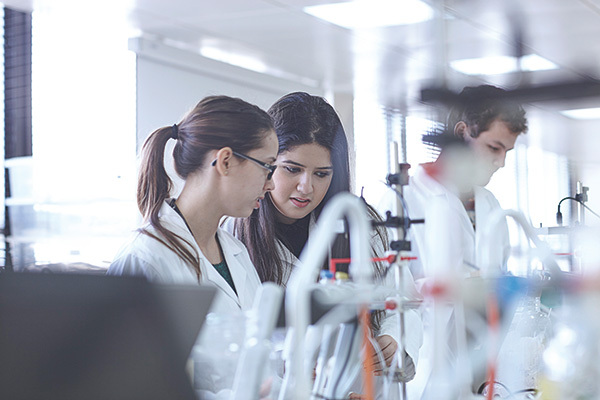 For example, the Biomedical Science BSc programme at St George’s, University of London offers a fast-track transfer into year two of the university’s four-year graduate entry Medicine degree for high-achieving students. If you have questions about the course or application statistics and you can’t find the answers to online, get in touch with the International Office of the universities you’re planning to apply to. The majority of UK medical schools require candidates to have completed the UK Clinical Aptitude Test (UKCAT) before you apply. This Test includes sections like Quantitative Reasoning, Abstract Reasoning and Verbal Reasoning. There’s no actual science content to the test, so you don’t need to revise. What you do need is to familiarise yourself with the test format and get some practice. You can access sample tests on the UKCAT website; you can download the UKCAT app, and a number of books are available for purchase. A smaller number of medical schools ask for the BMAT instead. 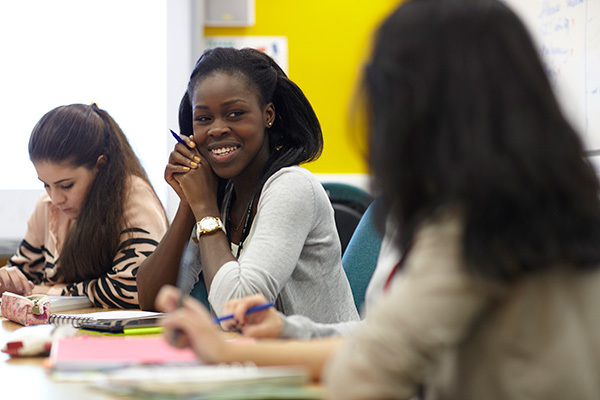 Most medical schools in the UK require you to apply via UCAS, in which you can apply to up to five programmes in total, of which a maximum of four can be Medicine. If you receive two or more conditional offers via UCAS, you’ll need to choose one Firm and one Insurance choice. You should choose a firm choice with higher grade requirements and an insurance choice with lower grade requirements – this is your back-up in case you don’t meet the grades required by your firm choice. The deadlines for making a choice vary depending on when you hear back from your universities. In any case, you won’t have to make a choice before having heard back from all of them. If you don’t receive any offers then you can use UCAS Extra (before 30 June) and Clearing (after 30 June) to make additional applications.